It seems so strange to think that a week ago at this time we were just arriving here at Cocoon house after our super wacky airline adventure. Now, here I am, and all the surgery is done, and I’m feeling nearly human again. The results of the surgery on my chest are great, and I’m not having any pain at all. I have no problems lifting up my arms or with mobility at all. Less than a week post-op on that, its pretty fantastic. Clearly, still a ways to go on the face. Anyway, the breakthrough today was how normal I felt. 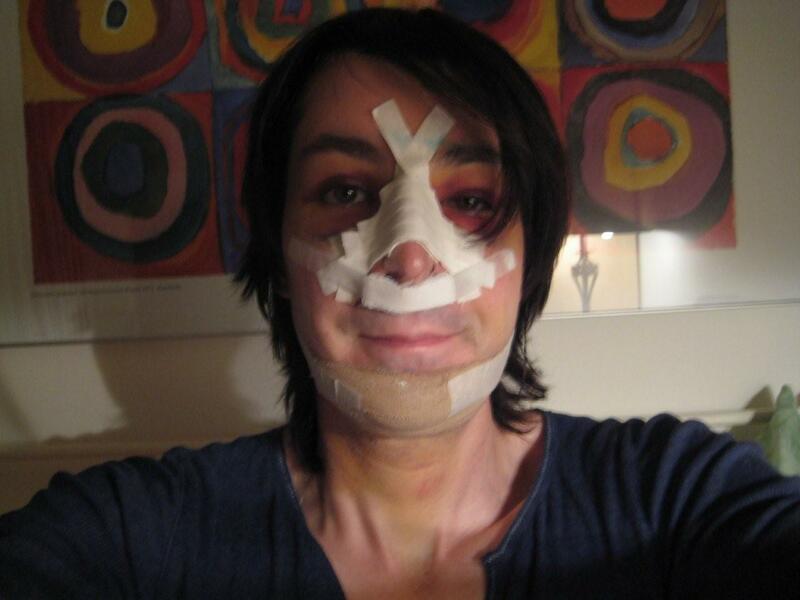 Even with the crazy face dressings still on, I felt normal – I felt like me. Knew the milkshake vs. frappe thing (6 years in Massachusetts), but never ever heard of a “cabinet” before. Megan Wallent, you are a veritable FONT of information!